The Best Value In Sportsman Racing Today! 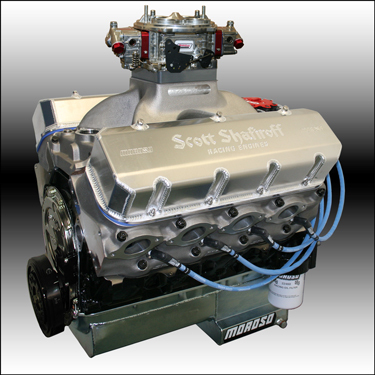 This SSRE-20 Engine Features Brodix 20° Cylinder Heads Making It More Affordable And Cost Effective! We Combined An Extremely Smooth Camshaft Profile With Shaft Rockers For Ultimate Valvetrain Reliability. The Incredible Breathing Of These 20° Conventional Style Big Block Cylinder Heads Still Delivers 1100 HP At A Price That Doesn't Break Your Racing Budget. This Isn't A Deal ... It's A Steal! Do You Want All The Bells & Whistles? Then This Is The Package For You! Includes The Listed Components Installed With Extra Savings! Total Package Value = $2265 - Save $150!